Katharina Fellnhofer is an Erwin-Schrödinger-Fellow at the Lappeenranta University of Technology. 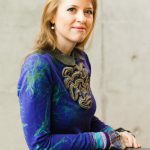 In addition, she is the CEO of the Research and Innovation Management GmbH, which is engaged in interdisciplinary European research and innovation projects (e.g. HORIZON2020 projects). She holds a PhD in Social and Economic Sciences from the University of Innsbruck, Austria. As a docent at the Lappeenranta University of Technology, she is engaged in boosting innovative educational science for entrepreneurship education in Europe. Entrepreneurship education via games?In entrepreneurship education, it is well known that the effectiveness of different educational initiatives appears to vary across different approaches. Kuratko (2003; 2005) stresses in his contribution regarding the development, trends, and challenges the importance of innovative driven initiatives within this field as international economic force. In his call to action he emphasized to expand pedagogies through new and innovative approaches for teaching entrepreneurship. In line with his suggestion we will discuss innovative approaches such as entrepreneurial stories and entrepreneurial games to prepare potential entrepreneurs for an exciting entrepreneurial journey.